Dalat is an alternative Vietnam: the weather is spring-like instead of tropical hot, the town is dotted with elegant French-colonial villas rather than stark sociologist architecture, and the surrounding farms cultivate strawberries, coffee and flowers in place of rice. For the nature lovers Dalat is a perfect place to visit. The mild temperature make it an ideal place for a variety of plants to thrive, thus it’s full of natural beauty. That it itself gives you a lot to see already. You can find beautiful species or orchids, roses, and other flowering plants. The land also produces a variety of fruit and vegetables. Dalat is called Vietnam’s “vegetable garden” too. 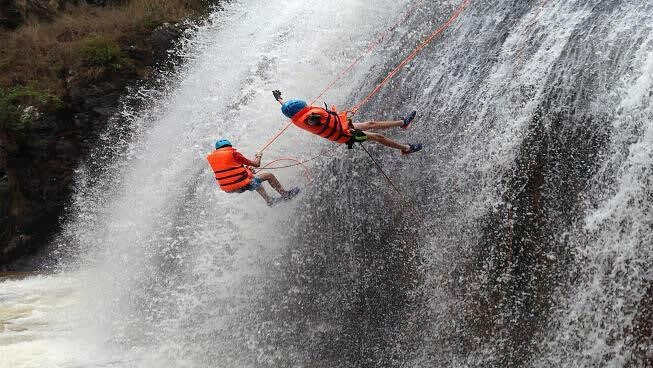 Aside from nature basking in the natural beauty of Dalat, there are also lots of activities fit for adrenaline junkies. 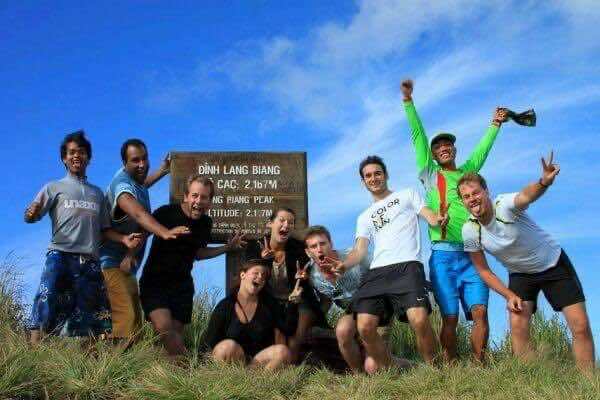 It’s so close to Lang Biang Mountain which offers activities like mountain climbing, camping, paragliding, and more. You can also chase some waterfalls. Dalat has a bunch of them, and you can even go canyoneering and rappelling in some of them. Here is a list of some amazing things you should consider to put in your itinerary when traveling to Dalat. 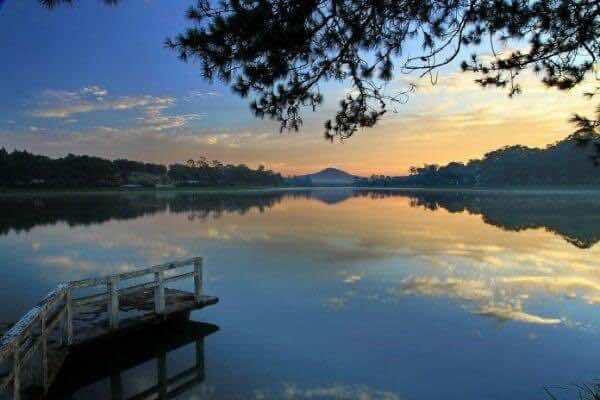 This lake is the focal point of Dalat. For a great experience, walk around the lake and see what’s happening. Around the green lake and the pine hill are the green lawns stretching. Walking along Xuan Huong Lake, you can go to Cu Hill, Yersin Park, and flower garden of the city. In the early morning and at dusk is the most beautiful time of Xuan Huong Lake. The water of the lake is as a clear mirror is outlined in the city, the wind blows gently in the airy space. Many couples like stroll around the lake, many friends and families prefer to Xuan Huong Lake to get relaxed and comfortable feeling. Surrounding the lake is the smooth asphalt road continued with a series of different paths from all over the city. It seems that this place is a beautiful picture that the creator has bestowed on Dalat. Dalat’s cable car is a nice way to see the town and its surrounding countryside and soars over majestic pine forests, while visiting Truc Lam Pagoda. 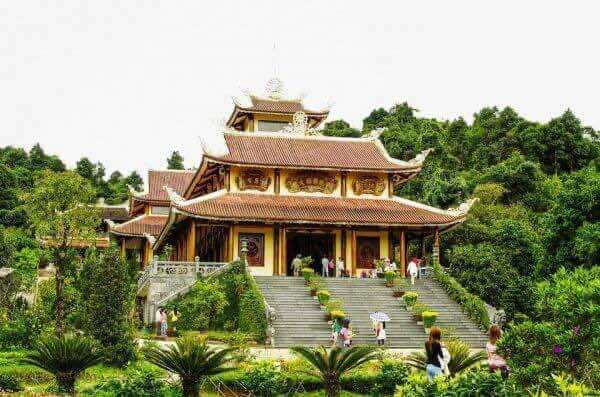 The Truc Lam Pagoda enjoys a hilltop setting and has splendid gardens. It’s an active monastery, though the grounds frequently teem with tour groups. As Vietnam’s biggest Zen monastery, it’s home to several temples and pagodas as well as expansive grounds where hundreds of monks live in simple quarters. 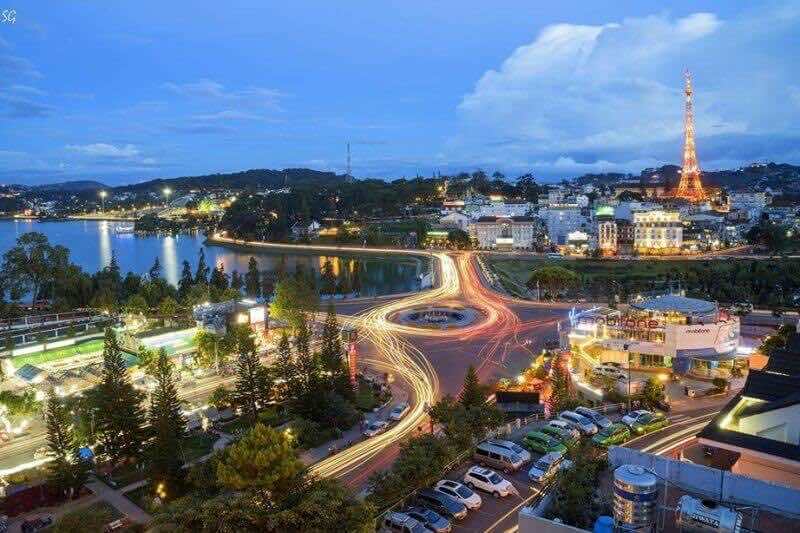 Coming to Dalat, tourists will not not be surprised by the beautiful landscape, comfortable weather but also by the imprint of French architectures on this place. One of the most unique French monuments to recommend is Dalat Railway Station. Regarded as one of the finest piece of colonial engineering and architecture in Vietnam, the station was designed in Art Deco Style which is perfectly in harmony with local characteristics and culture. It heads out to the suburbs of Dalat towards Trai Mat village where you can visit Linh Phuoc Pagoda. 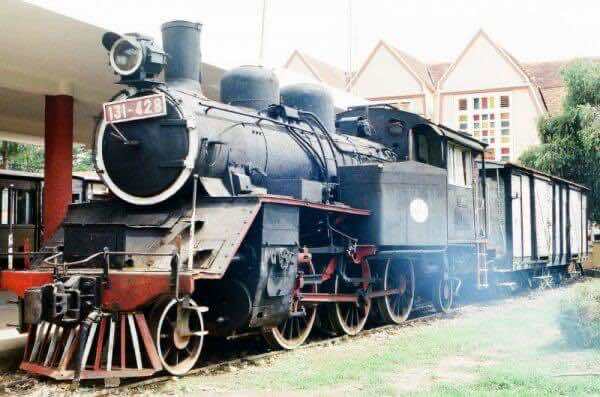 To secure a spot in the train, get to the ticket office early and make sure don’t miss the train back to Dalat City. Since Lang Biang consists of the two highest peaks of Lam Vien Highland, which is often regarded as the roof of Dalat. The mountain is famous for its spectacular nature, as well as its marvelous view of the whole wide area of Dalat City, the forests, the rivers and houses of tribal people. Camping, exploring the natural flora, bird-watching and enjoying the unique culture of ethnic minority groups are recommended activities for tourists coming to Lang Biang. Also, Lang Biang is an ideal place for adventurous activities like mountain climbing, conquering high peaks, paragliding and trekking. 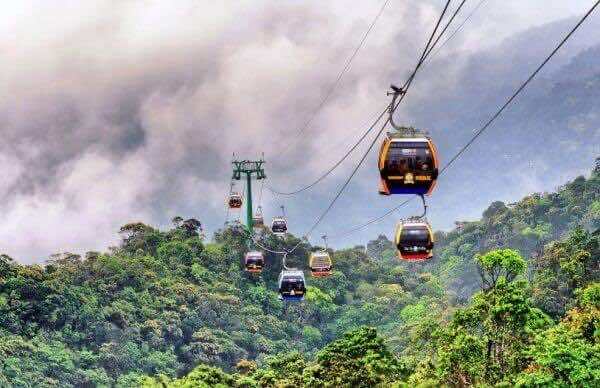 “Thung Lung Tram Nam” which lies at the foot of the mountain is regarded as an entertainment and ecological tourist site. What is canyoning? Dalat is a great place to learn what it is first hand. You’ll navigate your way down a canyon and waterfalls by abseiling, scrambling, zip lining, jumping and swimming. Available excursions vary in length and intensity, so check the providers carefully. Highly praised Phat Tire Ventures is the only outfitter legally licensed to do canyoning in Dalat and their professionalism is evident. 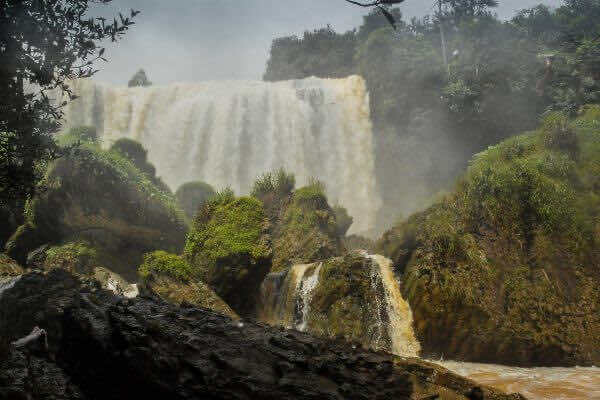 The average tour of the Dalat countryside and the Elephant Waterfalls includes a visit to many places of interest on the way such as a visit to a coffee plantation to learn more about the process of the so-called weasel coffee, a visit to a silk factory and rice wine factory, in which you will experience the daily life of the Vietnamese people of the Central Highlands. If you’re comfortable driving a motorbike, the winding roads and amazing views along the way make for one incredible drive, and the traffic is fairly tame. At the Elephant Falls, you can enjoy the wonderfully serene surroundings and let the sound of the water ring in your eyes. Vietnam is the world’s second largest producer of coffee, and some of the best coffee in Vietnam comes from Dalat. Dalat itself is very much a highland region, with rolling hills and valleys hosting thousands of coffee plants. 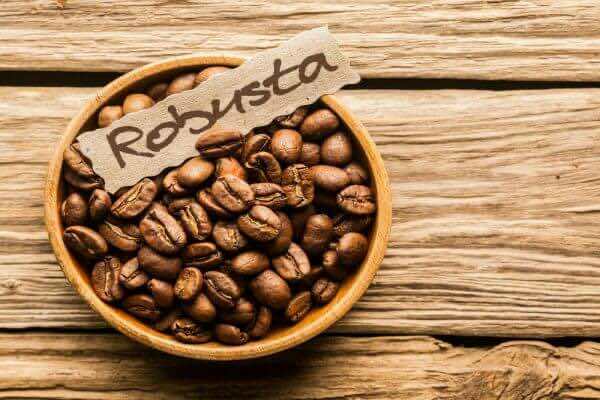 The combination of altitude, the soil and the weather makes Dalat an ideal location to grow the Robusta coffee plants. It’s a simple but delicious drink: ground coffee is added to a metal filter which is on the top of the cup. Water is then added, which seeps through the ground coffee and into the cup below. If you’re not a fan of black coffee, it’s typical to add condensed milk to a get a sweeter drink. 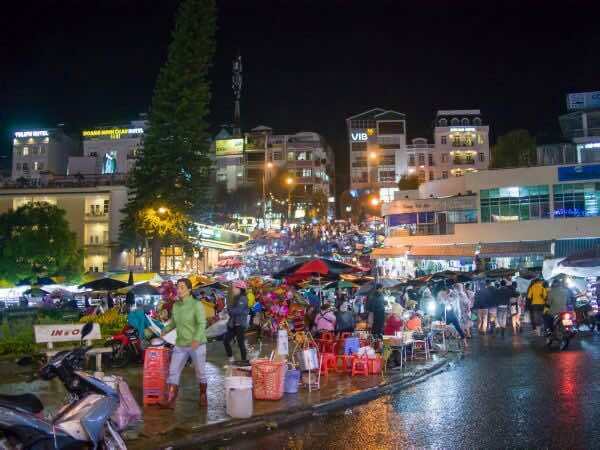 Night markets are a popular shopping opportunity all over Asia, and that of Vietnam’s picturesque Dalat is no exception. Shop for delicious food, warm clothes and souvenirs at the city center. When the central market closes at dusk, the proprietors of the many night market stalls open their venues and start to promote their wares. Many tourists agree that no tour of Dalat is complete without exploring the local night market and its street food stalls. 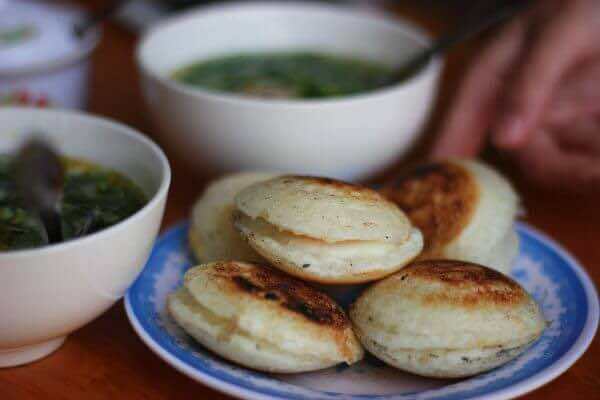 Dalat is home to some delicious specialties that you absolutely must try while you’re there. I hope this article could help to have a great itinerary to Dalat City – one of the most romantic city in Vietnam!